As your boiler ages the frequency of breakdowns and the unexpected malfunctions is likely to increase. This is because most of the boiler components suffer tear and wear every time you use the appliance. As much as you hate boiler breakdowns, you cannot run away from them. Event in field service your boiler each year, that doesn't mean that your boiler is immune to breakdowns. The good news is that Eco Efficient provides a better way of responding to boiler breakdowns. The company offers convenient and reliable boiler repairs in Middlesbrough and other cities across the United Kingdom. At Eco Efficient, we know the fact that every boiler should be serviced by a registered engineer with the right skill set to perform the task. For this reason, we have acquired a highly trained team of engineers to ensure that the services we provide are in accordance with the legal requirements and also meet the industry requirements. Therefore, you can trust us for the most convenient reliable and affordable boiler repair services. Have you ever realized that 50% of your energy bills are associated with the boiler energy requirements? This means that repairing your boiler in time will go a long way in minimising your monthly energy bills. That means you will be spending less amount of money on energy bills as compared to if you don't repair your boiler in time. Eco Efficient provides timely boiler repair services to all its clients in Middlesbrough and other neighbouring cities. Faulty boilers are associated with carbon monoxide emissions and leakages. Keep in mind that carbon monoxide claims at least 50 lives each year while 200 people get hospitalized yearly in the United Kingdom due to carbon monoxide poisoning. The gas is odourless and tasteless. This means that you can’t detect it unless you are using carbon monoxide detector. Eco Efficient makes it easier for you to handle any level of carbon monoxide in your home effectively. Note that we have highly trained engineers who can help you overcome such issues. In addition to carbon monoxide poisoning, there are other issues such as gas and boiler leaks which are dangerous to you and your loved ones. When flammable gases get exposed to spark or fire an explosion is inevitable. Thus, you need an engineer to detect the source of the gas leak. The engineer will also help you to fix the gas leak. At Eco Efficient we provide other services including boiler servicing, central heating installation and repair. Our engineers use the latest technology as well as robust tools and equipment to make sure that the services you receive are of excellent quality. 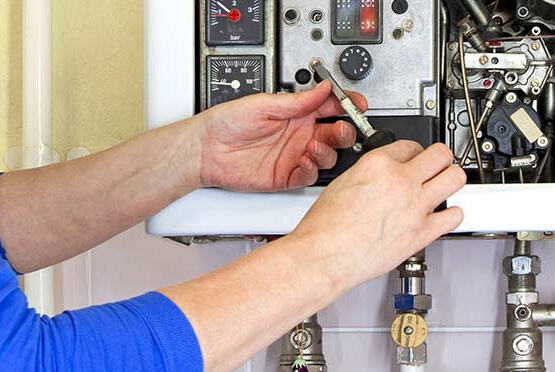 Therefore, whenever you require boiler or central heating services, you can trust us for the best services.